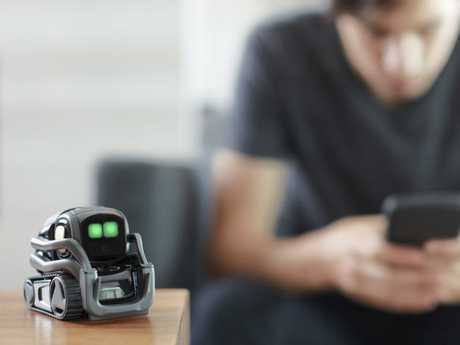 Ultimately, Vector is the next step for Anki which aims to develop a much larger household robot. IT'S predicted that by 2050, household robots will be doing all sorts of chores around the home. It might take a while before we see The Jetsons-level friendly robotic butlers doing our dirty laundry, but a new product by consumer robotics company Anki wants to get the ball rolling on that dream. Based in San Francisco, Anki is world leading consumer robotics and artificial intelligence company that has been developing robotic toys and their latest product is about to test whether consumers will embrace a "companion device" that has its own personality and interacts with people like a little robotic pet. 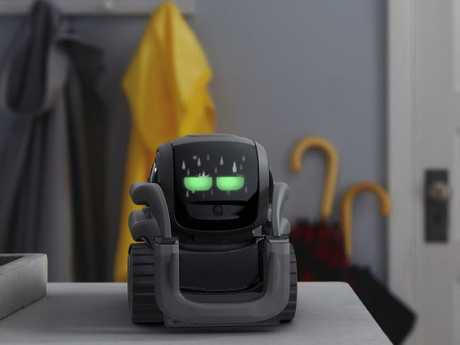 "Our special sauce is having robots that have character, that have personality that you can start to build relationships with," says Mark Bradley, Anki's Chief Revenue Officer. "We want allow people to build relationships with technology that feel a bit more human." The first real version of that objective is Vector - a small autonomous robot about the size of an apple. It's like a littler robotic Hermit crab that wants to hang out. The company will launch the product on Thursday before it hits Australian stores in October. After getting a hands-on demonstration this week, it's certainly cute and the range of technologies at play is quite impressive, but I'm not sure the utility factor is quite there yet to appeal to those outside of the early adopters. But it gives an interesting glimpse into the future. Pre sales open this week and Vector will cost $449 when it arrives in stores in October. It's designed to be able to respond like an AI powered smart speaker such as Amazon's Alexa or Google Home. Like those products, it sits on a tabletop or bench in the home but Vector is fully autonomous, drives around and wants to engage with people. Like smart speakers, you just have to say "Hey Vector" to ask questions or give the robot commands. On its front display is a digital screen with a large pair of eyes that convey his emotions and where Vector communicates other messages such as the time or the weather. 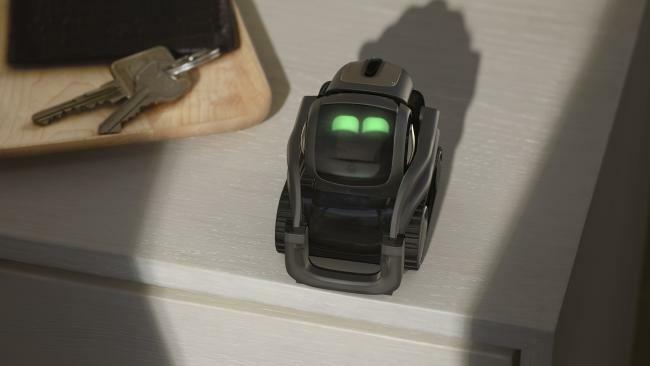 If you've seen the movie Wall-E, its characteristics are very much like that - complete with little robotic noises as it goes about its business. "With Vector it's always on, it's autonomous, he finds his own charger and goes back to it when he needs," Mr Bradley said. It has sensors that allow it to navigate around objects and make sure it doesn't drive off the table. 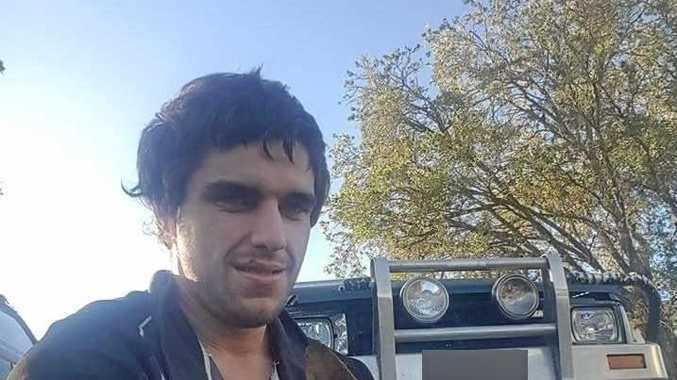 It has facial recognition technology so he can recognise its different owners and according to Mr Bradley its personality will begin to differ, so it won't be uniform. "It will change based on your interaction, and this is going to evolve very quickly," he told news.com.au. "Vector will have a different interactions based on the person, it's like a cat. We have a cat and for some reason my adores my son far more than anybody else." That's the goal with Vector. For instance, it can learn your interests such as your favourite football team and give you updates about the score or big news on players. However, that capability of having diverse relationships with different people in the home won't be available at launch but due to its cloud connectivity, the Anki team expect to be able to ramp up capabilities via automatic software updates after the product ships later this year. It’s like a littler robotic Hermit crab that wants to hang out. Anki - which is backed by some big investors including Silicon Valley entrepreneur and investor Marc Andreessen - debuted on the world stage at Apple's Worldwide Developers Conference in 2013 where it introduced its first product called Drive. It followed that with Vector's predecessor Cosmo which was a hugely popular toy in both the US and Australian markets. The company's latest robot marks its move from the pure entertainment space to a toy with a utility and character aspect. "We launched in the entertainment sphere and now we're in the process of evolving into entertainment but also with the utility aspect and more of a companion robot," Mr Bradley said. 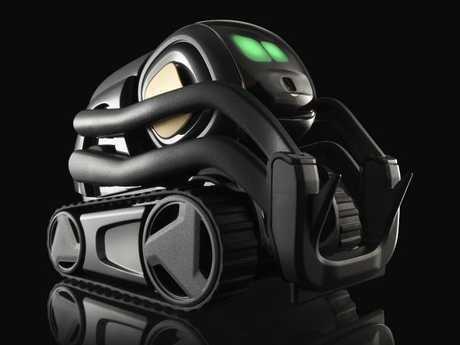 Ultimately, Vector is the next step for Anki which aims to develop a much larger household robot. But for now, it's restricted to a tabletop. "The form factor for vector is very deliberate, if you have a floor robot the expectation is that it's going to be able to go grab me a beer from the fridge," Mr Bradley said. "Vector is a tabletop robot that's going to help us evolve into a much larger robot for around the home. "Our north star is to have a robot in every home." Vector can be ordered online from Thursday and costs $399 during pre-sales and will be priced at $449 in store.